Looks like the Tsunami was a little weak here in Gold Beach. The webcam showed the water go out but not much of a surge. The Inn of the Beachcomber is located about 30 to 50 feet above the beach (according to my Garmin 705 GPS) so we are pretty safe. Stay off the beach today. See the live feed here www.GoldBeachWeather.com. What does Frommerâ€™s say about the Gold Beach Area? â€œThe 60-mile stretch of coast between Port Orford and the California state line is perhaps the most beautiful stretch of the entire Oregon coast, yet because of its distance from major metropolitan areas, it attracts surprisingly few visitors.â€� So those of us that are familiar with the Oregon Coast recommend that you live a little on the wild side and head on up to Gold Beach and the Inn of the Beachcomber and experience â€œOregonâ€™s Undiscovered Coastâ€� first hand! If you are looking for information on the redwoods go to our Redwood National Park Site: www.nationalparkredwoods.com for information on the State and National Redwoods Parks. 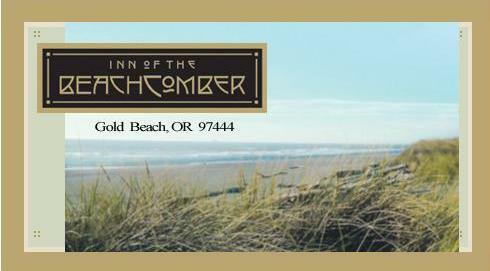 As far as lodging, our recommendation is to drive north to Gold Beach and stay at the Inn of the Beachcomber. As Frommerâ€™s says the drive to and from Gold Beach is spectacular so itâ€™s best to do it in the daytime.